Worcester, Mass., October 4, 2017 — Location, Inc., a leading provider of location-based analytics, announced the launch of HailRisk™, part of the RiskSuite™ Platform for Insurance. The Insurance Information Institute attributes $9B in property damage over the last 5 years (2012-2016) to hail. In 2016 alone, there were 5,601 major hail storms, according to the NOAA’s Severe Storms database. Even within the same hail event, not all homeowners suffer the same degree of damage or file a claim. Most companies, however, solely focus on where hail is going to occur, treating all policy holders within the same hail climatology hazard zone equally. 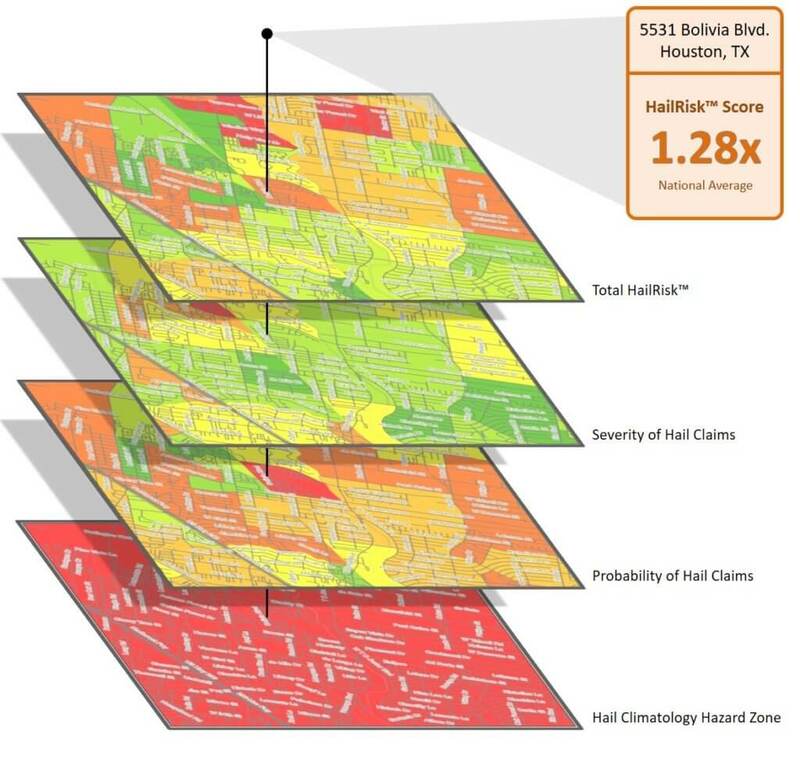 HailRisk analytics takes the innovative approach of predicting the property locations that are most susceptible to hail damage loss claims within any hail climatology hazard zone, and for any U.S. address. This reveals fine-grained insurance risks previously unidentified, delivering up to 20x risk segmentation. For any weather-related hazard—including hail—the susceptibility of insurance loss is due to the interaction of the hazard with property vulnerability. Vulnerability arises from the interplay of people, structure characteristics, and location. Using this approach and an industry database made up of millions of policy records, Location, Inc. is able to generate a HailRisk Score for any U.S. address. This score predicts vulnerability to hail damage—the higher the score, the more likely there will be hail losses. Even within the same hail event, not all homeowners suffer the same degree of damage or file a claim. 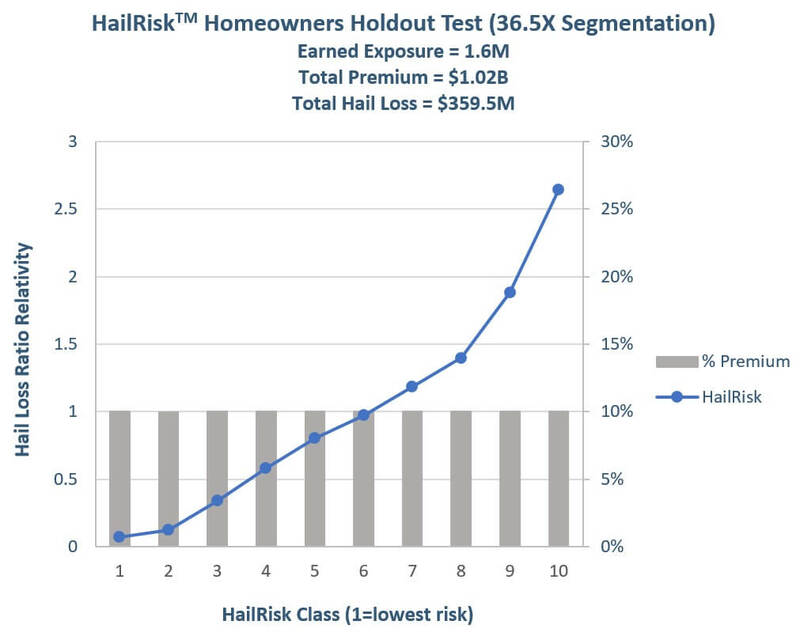 HailRisk generates a risk score, revealing the property locations that are most susceptible to hail damage loss claims—within any hail climatology hazard zone, and for any U.S. address. Quantifying the lift HailRisk analytics provides when applied to a holdout data set of over $1.02 billion in premium, and then applying those findings to the $74 billion homeowners insurance industry, reveals $30.6 billion in premium adjustments and $6.9 billion in claim reductions annually. To learn more about HailRisk analytics, contact Location, Inc. The first full cross-portfolio suite of risk assessment analytics, RiskSuite uses the probability of risk damage occurrence in addition to the severity, to accurately predict crime, fire, hail, and non-weather-related water insurance losses by location. To learn more about RiskSuite, contact Location, Inc. Location, Inc. is a geographic research and data mining company, born of university research, and a leading provider of location-based data and tools used by corporations for risk analysis. The company specializes in location analysis, quantifying and mapping of crime and security risks, structure fire risk, non-weather-related water damage risk, demographic and school data information products, and location-based decision-making tools for businesses and consumers. More than 70 million people and businesses have used Location, Inc.’s data and services since its 2000 inception. For more information, visit www.LocationInc.com. RiskSuite and HailRisk contain no red-lining.